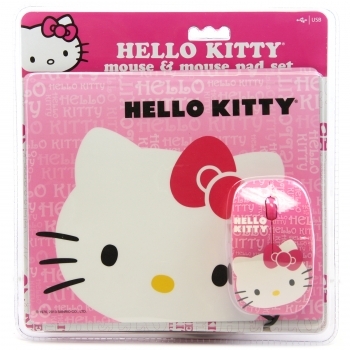 This mouse and mouse pad comes in a matching character set. The optical mouse has an ergonomic design for comfortable usage and convenient scrolling wheel for web browsing. The 8.25" x 7" mouse pad is a rectangular shaped with slightly rounded corner.